Through My Eyes: Goodbye and Hello. I didn't think that this year would be another year of life-changing for me. I didn't think that I would go through the giant-butterflies-in-my-tummy this year. I didn't think I would be daring enough to take this step this year. I obviously never thought it would come to this. I tendered my resignation on the twenty-seventh of February. And here's a story I want to share. On Sunday night, I was feeling very anxious and disturbed because I knew I needed to do it with my boss on Monday. So, I was just so in-and-out on my own emotions. If I can have it my way, I would have done it via email, but of course not. I needed to speak with her face to face because it's professional like that and I respect her so much as a boss and as a person. When I went to work in the morning, I was even more nervous because it's just so difficult to tell someone that you quit. It's like going through break-up again and I wouldn't recommend that anyone go through it. So kids, think carefully before you start dating everyone you see and like. Anyways, I reckoned that it was harder than breaking up. I was afraid that my resignation would upset her and that was the last thing I want to do, but that's for sure to happen. I was also pretty sure that the reason that I was going to tell her (the real reasons I shall kept in my heart forever) would make her even more not understanding and I was right. Heh. 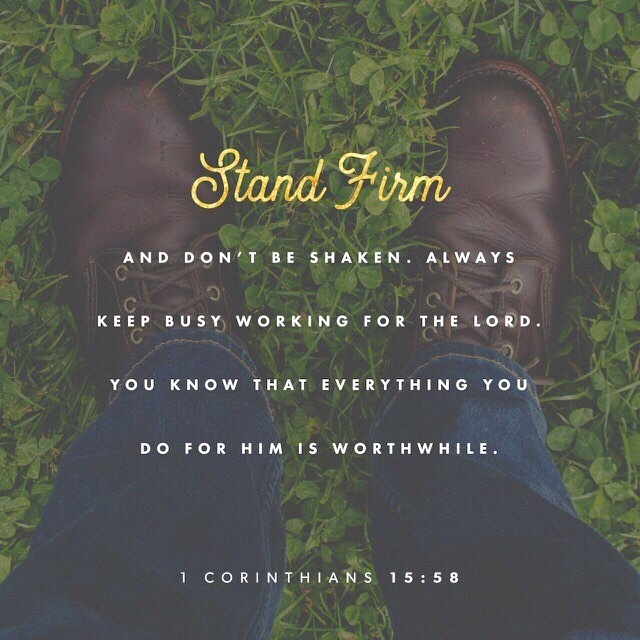 Just before I walked to her room, I decided to check the 'verse of the day' on my Bible app, and this image came out. Mind blown please thank you. I read it for more than 10 times before I gathered all the courage I have and walked in. Hah. And so I did it. I will be working for FGA Centre May 2017 onwards. I am super excited to go full-time with FGA Centre. Wedding Update 7: Bridal Package from My Dream Wedding. 4D3N Superstar Libra Cruise to Phuket & Krabi. Pregnancy Update 3: How We Lost Our Baby. 2D1N Hatyai, Thailand: Songkran Festival. 3D2N Redang Island Resort, Pulau Redang, Kuala Terengganu. 4D3N Camping at Cameron Highlands + Hiking at Gunung Irau. Pregnancy Update 2: 4 Types of Pregnancy Test Kits. How We Found Out We're Pregnant (Round 2)! Pregnancy Update 1: The Day We Found Out. Honeymoon Number Two: 6D5N Hanoi, Vietnam.